Unisys has introduced its CloudForte managed service tool intended to help automate and quicken cloud transition and digital transformation through Microsoft's Azure platform. 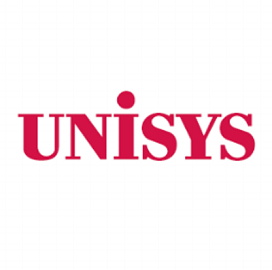 Unisys said Monday it unveiled the cloud services platform during the recently held Microsoft Ignite Government event. CloudForte helps users identify legacy systems to be prioritized for cloud migration and provides access to the latest Microsoft cloud offerings and pre-constructed automated blueprints for developing new tools. The product also leverages Unisys’ Cloud Center of Enablement, which has over 300 IT professionals certified by Microsoft that can help public and private sector clients transition to the cloud. "This powerful combination of capabilities opens new possibilities for access to business and government services for our clients' customers and constituents,” said Chris Wick, vice president of infrastructure transformation services at Unisys. As part of the collaborative effort, Unisys will also deploy a suite of identity-based microsegmentation offerings called Unisys Stealth, designed to thwart cyber threats against networks, devices and infrastructure. The company currently holds seven Microsoft competencies as well as Azure innovation partner of the year awards for 2015 and 2017.